This holiday, give yourself a peaceful and enriching respite from the hectic pre-Christmas buildup via our lovely Advent Coloring Calendar. For each day of December up to the 24th, you'll find a short Bible verse, prayer, or song and an intricate pattern or design to color in. 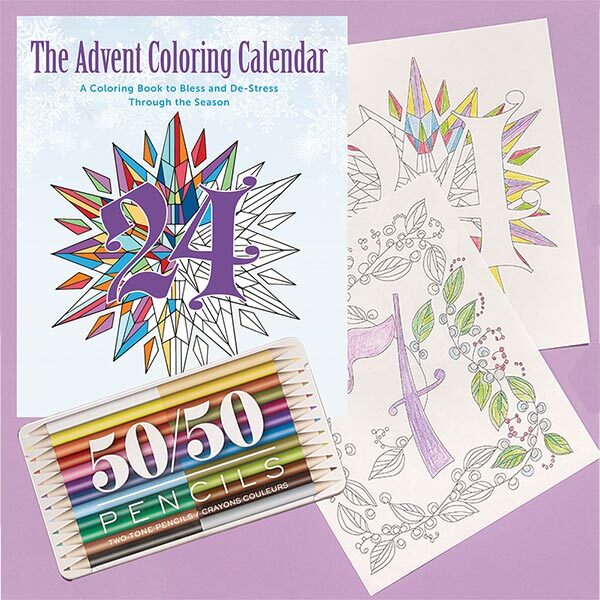 Take the book and our handy tin of twelve double-sided colored pencils to a tranquil spot, free yourself from distractions, and meditate upon the spiritual riches of the season as you create colorful abstract masterpieces.